Nexus PR has been handed a wide-ranging brief to combat accusations that the dairy ­industry is a key contri­butor to climate change. The agency has been taken on by DairyCo, which aims to increase the profitability of dairy farming by improving its public perception. The brief is believed to cover a range of key areas where the UK dairy industry has frequently had a tough time, both in financial and reputation terms. In particular, environmental campaigners have att­acked dairy farmers over the level of greenhouse gas emissions from farms. 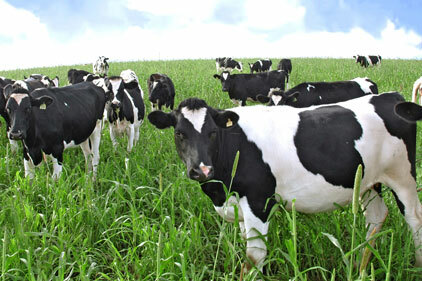 Studies have shown that the production of one litre of milk creates the equivalent of 900g of CO2. The average cow emits between 80kg and 120kg of methane a year, equivalent to the annual carbon emissions from an average family car. It is understood the agency will also be working to deal with negative press over animal welfare, linked to breeding practices used to increase cap­acity for milk production. Nexus is also expected to highlight the fact that farmers have been forced by processors to sell milk at below cost for the past ten years, forcing thousands to quit the industry. Nexus was appointed by DairyCo’s newly promoted head of issues and image management Amanda Ball. Her job is to implement an issues and image strategy.